Статья представляет собой краткий очерк развития образовательной среды Баренцева Евро-Арктического региона. Отделение Кафедры ЮНЕСКО по педагогическим наукам в Мурманском государственном гуманитарном университете рассматривается как действенный и наиболее адекватный инструмент адаптации национального высшего профессионального образования к условиям региональной академической мобильности и в целом интернационализации образования. Ключевые слова: Баренцев Евро-Арктический регион, идентичность региона, идентичность вуза, высшее профессиональное образование, интернационализация высшей школы, академическая мобильность, Кафедра ЮНЕСКО, Баренц-трансграничный университет, Университет Арктики, бакалавр приполярных / северных исследований. Декларация по итогам встречи глав правительств стран — членов СБЕР. Киркенес, 3—4 июня 2013 года [Электронный ресурс]. Режим доступа: http://government.ru/media/files/41d46b75c7931f08b9b7.pdf. Агранович М.Л., Аржанова И.В., Боревская Н.Е., Гроховатская Н.В., Ефремова Л.И., Карпухина Е.А., Ларионова М.В., Перфильева О.В., Суслова Д.В., Филиппов В.М. Интернационализация высшего образования: тенденции, стратегии, сценарии будущего / Национальный фонд подготовки кадров. М.: Логос, 2010. М.: Логос, 2010. Артамонова М.В. Реформа высшей школы и Болонский процесс. М.: ЗАО «Издательство «Экономика», 2008. Бедный Б.И., Чупрунов Е.В. О некоторых направлениях развития системы подготовки научных кадров в высшей школе // Высшее образование в России. 2012. № 11. С. 3—15. Бринев Н.С., Чуянов Р.А. Академическая мобильность студентов как фактор развития процесса интернационализации образования [Электронный ресурс] // Демократизация и перспективы развития международного сотрудничества. 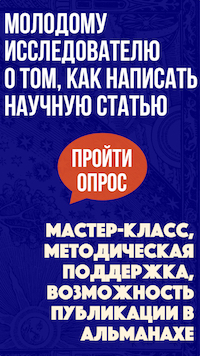 Сборник материалов международной научн.-практ. конферен-ции. Омск, 2003. Режим доступа: http://www.prof.msu.ru/publ/omsk2/o60.htm. Добренькова Е.В. Проблемы вхождения России в Болонский процесс // Социологические исследования. 2007. №. 6. С. 102—105. Леденева Л.И. Не потеряет ли Россия своих Платонов и Невтонов? // Мир России. 2003. Т. XII. № 2. С. 165—178. Макарова М.Н., Соломенников В.С. Болонский процесс: мнения и ожидания // Социологические исследования. 2007. №. 6. С. 106—109. Ставрук М.А. Содержание и организация академической мобильности студентов Финляндии. Автореф. дисс. … канд. пед. наук. Сургут, 2011. Чинаева Т. Студенческая мобильность: мировые тенденции // Высшее образование в России. 2002. № 3. С. 93—99. Aalto P., Blakkisrud H., Smith H., eds. The New Northern Dimension of the European Neighbourhood. Brussels: Centre for European Policy Studies, 2008. "Centre for Practical Knowledge." University of Nordland. University of Nordland, 2014. Web. <http://uin.no/english/aboutus/faculties/phs/centres/cpk/Pages/default.aspx>. CIMO. Centre for International Mobility CIMO, Helsinki, Finland, n.d. <www.cimo.fi>. Haglund-Morrissey A. "Conceptualizing the ‘New’ Northern Dimension: A Common Policy Based on Sectoral Partnerships." Journal of Contemporary European Studies 16.2 (2008): 203—217. Heininen L. "Circumpolar International Relations and Cooperation." Globalization and the Circumpolar North. Eds. L. Heininen, and C. Southcott. Fairbanks, Alaska: University of Alaska Press, 2010, pp. 265—305. "International Study Programs at Barents International School." Finnmark University College. Finnmark University College, n.d. Web. <www.barentsplus.hifm.no>. Korteniemi E. Nordic Cooperation with Russia in Education and Research. Copenhagen: Nordic Council of Ministers, 2011. Jensen L.C., Hønneland G. "Framing the High North: Public Discourses in Norway after 2000." Acta Borealia 28.1 (2011): 37—54. Leland S.R., Hoel A.H. "Learning by Doing: the Barents Cooperation and Development of Regional Collaboration in the North." The New Northern Dimension of the European Neighbourhood. Ed. P. Aalto. Brussels: Centre for European Policy Studies, 2008, pp. 36—53. Medby I.A. "Arctic State, Arctic Nation? Arctic National Identity among the Post-Cold War Generation in Norway." Polar Geography 37.3 (2014): 252—269. Norwegian Centre for International Cooperation in Education (SIU). Norwegian Centre for International Cooperation in Education, n.d. Web. <www.siu.no>. (In Norwegian). Norwegian Ministry of Education and Research. Education — from Kindergarten to Adult Education. 2008. PDF-file. <http://www.udir.no/Upload/Brosjyrer/5/Education_in_Norway.pdf?epslanguage=no>. Norwegian Ministry of Education and Research. Internationalisation of Education in Norway. Summary in English: Report No. 14 (2008—2009) to the Storting. Oct. 2009. PDF-file. <https://www.regjeringen.no/globalassets/ upload/kd/vedlegg/internasjonalt/internationalisation_14_2008_2009.pdf>. Organization for Economic Co-operation and Development. Highlights from Education at a Glance 2010. PDF-file. <http://www.oecd-ilibrary.org/docserver/download/9610061e.pdf?expires=1423273162&id=id&accname= guest&checksum=C20729DABA3BBC304FDDD22141B86B0F>. "Participating North2North Institutions." University of the Arctic (UArctic). University of the Arctic, 2014. Web. <http://education.uarctic.org/mobility/where-can-i-go/>. Prime Minister’s Office, Finland. Finland’s Strategy for the Arctic Region. Prime Minister’s Office Publications, Aug. 2010. PDF-file. <http://www.arcticportal.org/images/stories/pdf/J0810_Finlands.pdf>. Rafaelsen R. "The Barents Cooperation: Region-Building and New Security Challenges." Strategic Analysis 37.4 (2013): 486—488. Skedsmo P. "’Doing Good’ in Murmansk? Civil Society, Ideology and Everyday Practices in." Europe-Asia Studies 57.1 (2005): 117—133. Statistics Norway. Facts about Education in Norway 2011 — Key Figures 2009. PDF-file. <http://www.ssb.no/en/ utdanning/artikler-og-publikasjoner/_attachment/89692?_ts=13c297bfca8>. University of the Arctic (UArctic). University of the Arctic, 2014. Web. <www.uarctic.org>. In the conditions of aggravation of international relations, Barents Euro-Arctic Region (BEAR) is an example of peaceful cross-border processes and cooperation in addressing the critical issues of formation of civil society and regional identity. Universities of Northern countries and network interstate educational projects that integrate national higher education institutions of the Arctic zone (Barents Cross-Border University and University of the Arctic —UArctic) occupy a special place in the creation of a common humanitarian space in the circumpolar area. The study of the formation and development of unified humanitarian space through a common educational one in the Barents region leads to wider implementation of such projects' experience in the interest of peace and democracy in Northern countries. The creation of the UNESCO Chairs in universities of these countries shows the importance which the UN attaches to the process of international humanitarian integration and cooperation, and contributes to the development and deepening of these processes (on example of Bachelor of Circumpolar / Northern Sciences). Subjects of our study are educational environment of BEAR, including regional academic mobility; UArctic’s programs implementation in pedagogical process in Murmansk State Humanitarian University. To explore these issues, we used normative approach and methods of social philosophy, as well as institutional and structural and functional analisys. In particular, we used the normative approach for the analysis of articles Kirkenes Declarations of 1993 and 2013, related to the issues of interstate cooperation in the field of education. Having considered the institutional and cognitive structure of the educational environment of the BEAR, we have shown that the implementation of bachelor programs of circumpolar and northern studies of Finnmark University College is the most promising for Murmansk State Humanitarian University. That is why socio-humanitarian and natural sciences are harmoniously combined within this program, as well as theoretical knowledge with practical skills is reinforced. 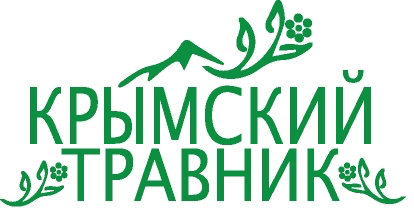 In this respect we consider the branch office of the UNESCO Chair in Educational Sciences at Murmansk State Humanitarian University as an efficient and the most adequate tool for adaptation of national higher education (and national identity of the University) to the conditions of regional academic mobility (and regional identity), as well as to the conditions of the global internationalization of education. Most of joint educational programs involving various Russian universities are implemented at the master's level because of certain inertia of perception of a bachelor's degree at the domestic labor market. However, in our article, we have shown that the practice of educational activities in cooperation with foreign partners raises the status of bachelor degree as an effective link in the education chain in which the foundations of multicultural knowledge can be laid down. We conclude that in this process of learning, which is meaningful and formally founded on the principle of dialogue between cultures and dialogic nature of the process of cognition, more indepth understanding of the problem of ‘man and North’ is formed. Thus, the value of academic programs that are being implemented in the MSHU, goes beyond strictly educational field and contains a serious ideological significance, ‘rooting’ the young residents of the northern territories by forming their northern identity. Improving the quality of education through the implementation of international projects under the auspices of UNESCO will ultimately provide a regional labor market by highly qualified specialists who have formed the motivation for their work is in the northern regions. Keywords: Barents Euro-Arctic Region, identity of region, identity of university, higher professional education, internationalization of higher education, academic mobility, UNESCO Chair, Barents Cross-Border University, University of the Arctic, Bachelor of Circumpolar / Northern Studies. Artamonova M.V. Reform of Higher Education and the Bologna Process. Moscow: Economics Publisher, 2008. (In Russian). Bedny B.I., Chuprunov E.V. "Some Trends in the Development of Scientific Training in High School." 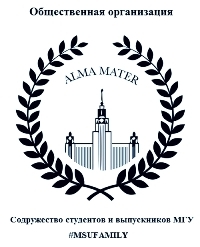 Higher Education in Russia 11 (2012): 3—15. (In Russian). Brinev N.S., Chuyanov R.A. "Academic Mobility of Students as a factor in the Development Process of the Internationalization of Education." Democratization and Prospects of International Cooperation. Proceedings of the International Scientific and Practical Conference. Omsk, 2003. Web. <http://www.prof.msu.ru/publ/ omsk2/o60.htm>. (In Russian). Chinaeva T. "Student Mobility: Global Trends." Higher Education in Russia 3 (2002): 93—99. (In Russian). Declaration Following the Meeting of Heads of Government - Members of the BEAC. Kirkenes, 3—4 June 2013. PDF-file. <http://government.ru/media/files/41d46b75c7931f08b9b7.pdf>. (In Russian). "Declaration of Cooperation in the Barents Euro-Arctic Region. Kirkenes, 11 Jan. 1993." Culture of the Barents Region. N.p., n.d. Web. <http://barentsculture.karelia.ru/site/1077013786/1077106320/1081942971.html>. (In Russian). Dobrenkova E.V. "Problems of Russia's Entry into the Bologna Process." Sociological Studies 6 (2007): 102—105. (In Russian). Ledeneva L.I. "Whether Russian Not Loses Its Platos and Newtons?." World of Russia XII.2 (2003): 165—178. (In Russian). Makarova M.N., Solomennikov V.S. "The Bologna Process: Opinions and Expectations." Sociological Studies 6 (2007): 106—109. (In Russian). National Training Foundation, Agranovich M.L., Arzhanova I.V., Borevsky N.E., Grohovatskaya N.V., Efremova L.I., Karpukhina E.A. Larionova M.V., Perfilieva O.V., Suslov D.V, Filippov V.V. Internationalization of Higher Education: Trends, Strategies, Future Scenarios. 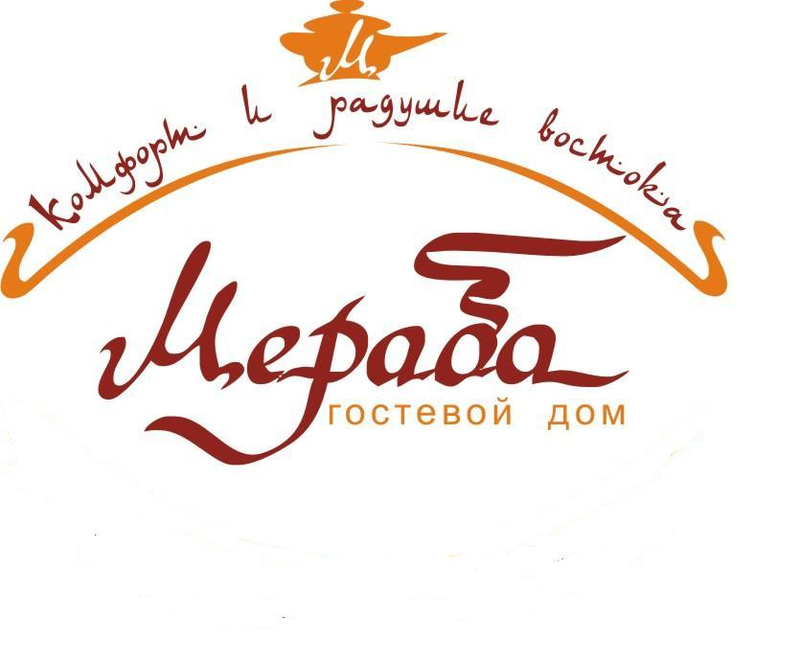 Moscow: Logos Publisher, 2010. (In Russian). "Order of Ministry of Education and Science of the Russian Federation on 11 Feb. 2013, no. 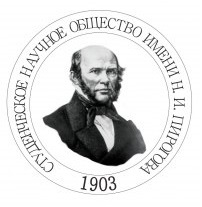 80 “On the Reorganization of the Federal State Budgetary Educational Institution of Higher Professional Education ‘Petrozavodsk State University’ and the Federal State Budgetary Educational Institution of Higher Professional Education ‘Karelian State Pedagogical Academy’”." Petrozavodsk State University. Petrozavodsk State University, 11 Feb. 2013. Web. <http://www.petrsu.ru/files/2013/02/f8742_1.pdf>. (In Russian). Organization for Economic Co-operation and Development. Highlights from Education at a Glance 2010. PDF-file. <http://www.oecd-ilibrary.org/docserver/download/9610061e.pdf?expires=1423273162&id=id&accname=guest&checksum=C20729DABA3BBC304FDDD22141B86B0F>. Shabalin Yu.E. "Academic Mobility: Regional Dimension of Projected Effects." Regional Distance Learning Center. Training Center "Konnessans", 2007. Web. <http://www.rcde.ru/method/996.html>. (In Russian). Shabalin Yu.E. "Development of Regional Educational Space." Regional Distance Learning Center. Training Center "Konnessans", 2008. Web. <http://rcde.ru/method/999.html>. (In Russian). Stavruk M.A. The Content and Organization of Academic Mobility of Students in Finland. Synopsis of Ph.D. diss. Moscow, 2011. (In Russian). Sergeev, A. M., and I. V. Ryzhkova. "The UNESCO Chair in Murmansk State Humanitarian University and Educational Reality Formation in Barents Euro-Arctic Region. Toward 10th Anniversary of the Branch Office of the UNESCO Chair in MSHU." Elektronnoe nauchnoe izdanie Al'manakh Prostranstvo i Vremya: ‘Prostranstvo i vremya obazovaniya’ [Electronic Scientific Edition Almanac Space and Time: 'The Space and Time of Education’] 8.1 (2015). Web. <2227-9490e-aprovr_e-ast8-1.2015.45>. (In Russian).